TITAN is laying the foundations of a hyper scale network, propelling Proximus into the terabit era. 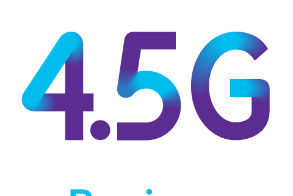 The track record of Nokia and Proximus in IP network innovation is extending today with our tandem becoming among the world’s pioneers in activating the biggest equipment ever deployed in a telecom operator network and so defining the new capacity reference standards. I’m really proud of the R&D crews and of the project teams of both companies, who did a fantastic job to create the future standards. We have a long and proud history of partnering with the team at Proximus and so are especially pleased to be working closely with them to help ensure the TITAN network upgrade project continues flawlessly. With the Nokia 7750 SR-14s as the foundational technology of this smart, dynamic network fabric, Proximus is laying the groundwork to meet the future digital demands of their consumer, enterprise and mobile customers.